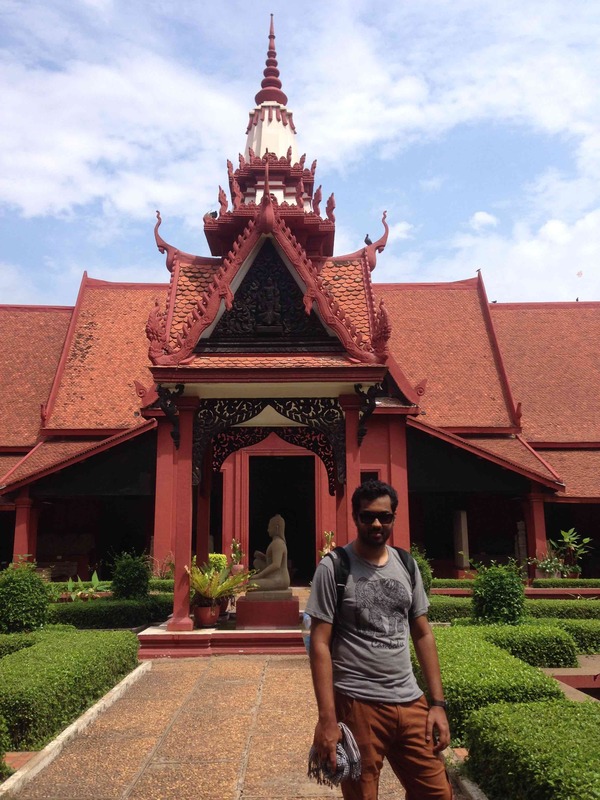 After spending four amazing days in Angkor Wat our next stop was Phnom Penh in Cambodia. 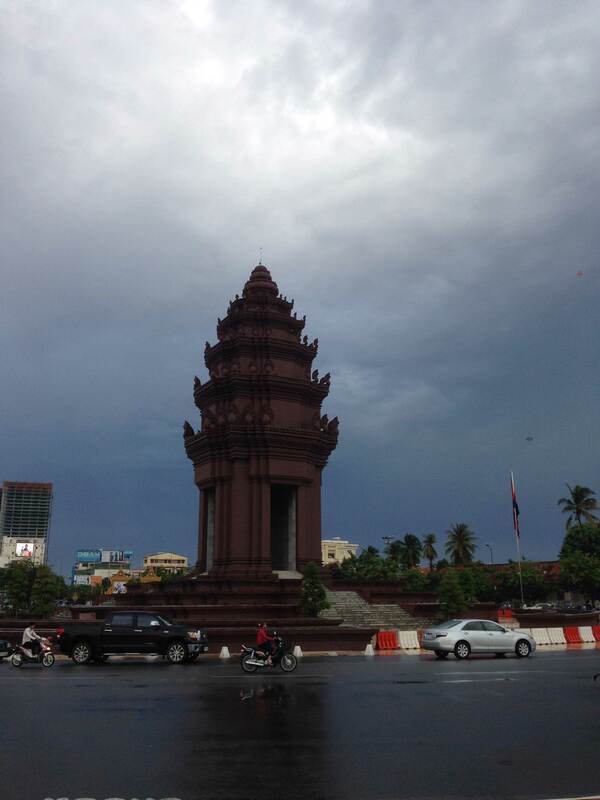 Phnom Penh is the largest city of Cambodia located on the intersection of Tonle Sap and Mekong river. There are a lot of ways to reach Phnom Penh from Siam Reap including flights, bus, boat, taxis etc. The most economical way to travel was to take the bus which takes around 6.5 hours to cover the distance of more than 300Km. 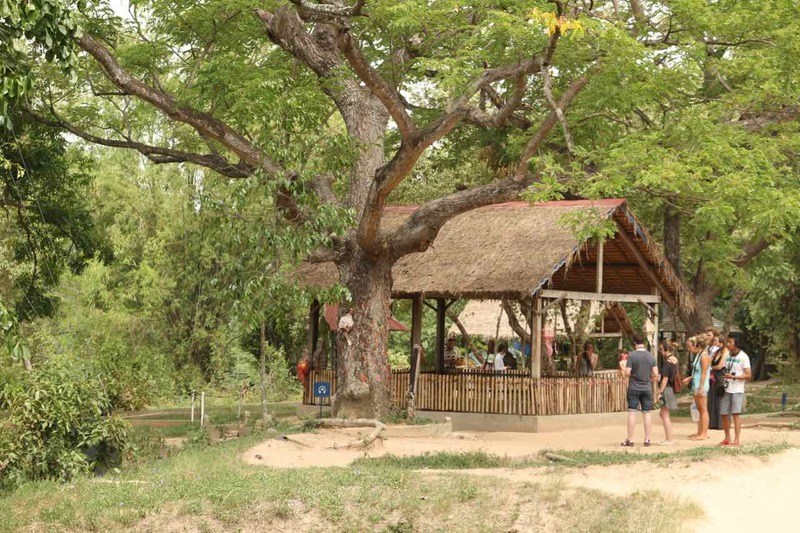 We took the bus as it gives an opportunity to get the glimpse of Cambodian country life along the way. The road condition is decent but still be prepared for few patches of a bumpy ride. We booked our tickets with Giant Ibis bus service which was very good. Their staff was very friendly and helpful and their buses were also in good condition. 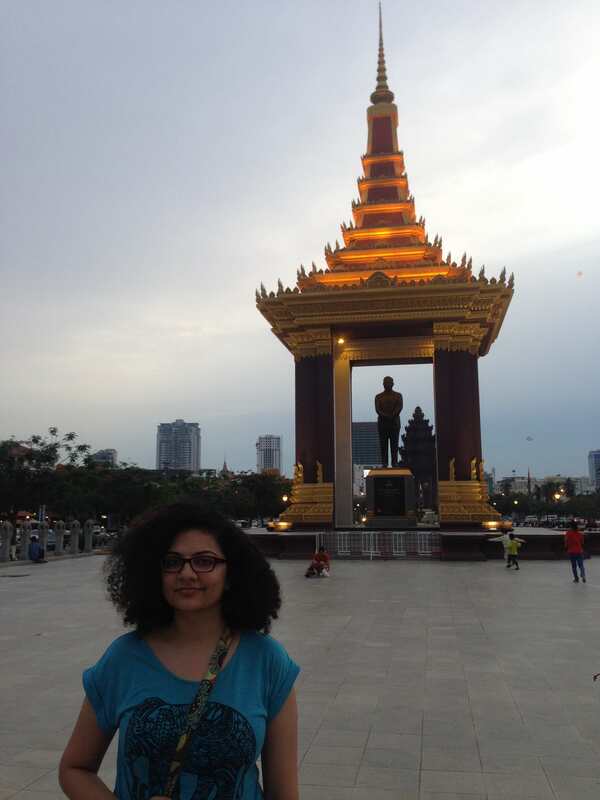 We left for Phnom Penh around 8 am and reached at 2 pm. Bus station at Phnom Penh was around 3Km from our hostel so we took a tuk-tuk. Shuchi and I were impressed with Mad Monkey hostels in Siem Reap and wanted to try them again in Phnom Penh. To our surprise, they were even bigger and better in Phnom Penh. We must say the vibe in that hostel is great and the staff is very welcoming and friendly. I loved breakfast at their restaurant! Our hostel was located in a very lively area, close to the city attractions and was surrounded by good restaurants and bars. We were really tired from our bus journey and so decided to relax before starting to explore the city the next day. 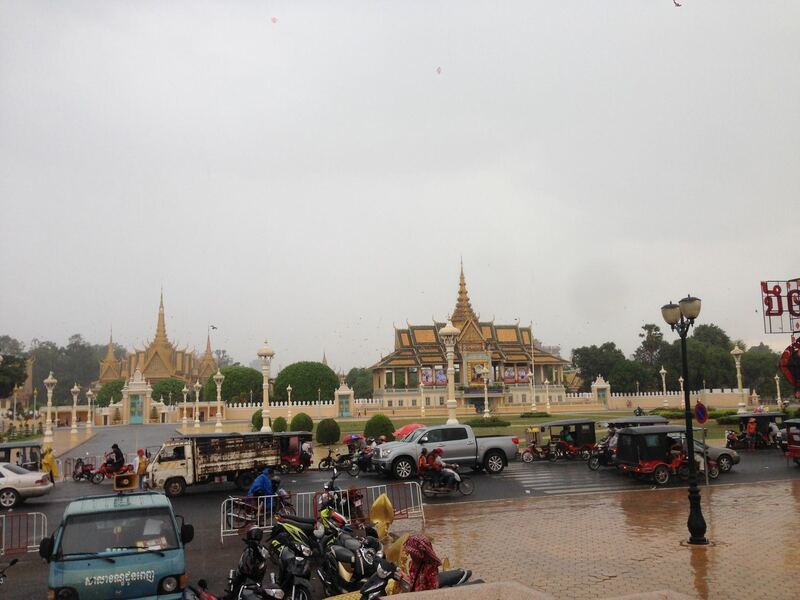 It was around noon when we arrived at Royal Palace but it was closed and would reopen at 2.00 pm. So we decided to spend some time at the National Museum, which is next to the Royal Palace. Word of caution - beware of the hagglers around the palace. Most vendors and tuk-tuk drivers will try to convince you that everything is closed between 11.00am - 2.00pm in Cambodia and would lure you into buying some expensive tours for the city. The national museum is right next to the palace and entrance is free - it's a good place to spend an hour exploring and understanding more about the Cambodian history. Once done with the museum we walked towards Royal Palace which was a short walk. 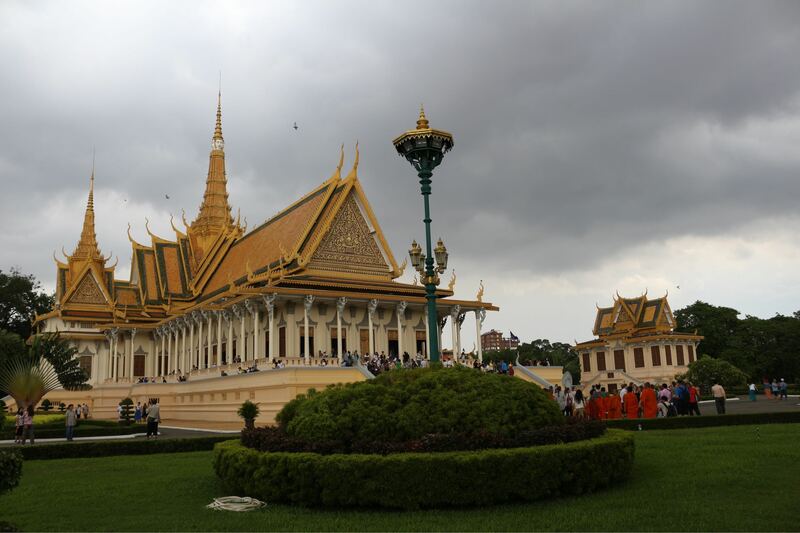 The Royal Palace is a complex of buildings which serve as the residence for the King of Cambodia. This place is a fine example of Khmer architecture. 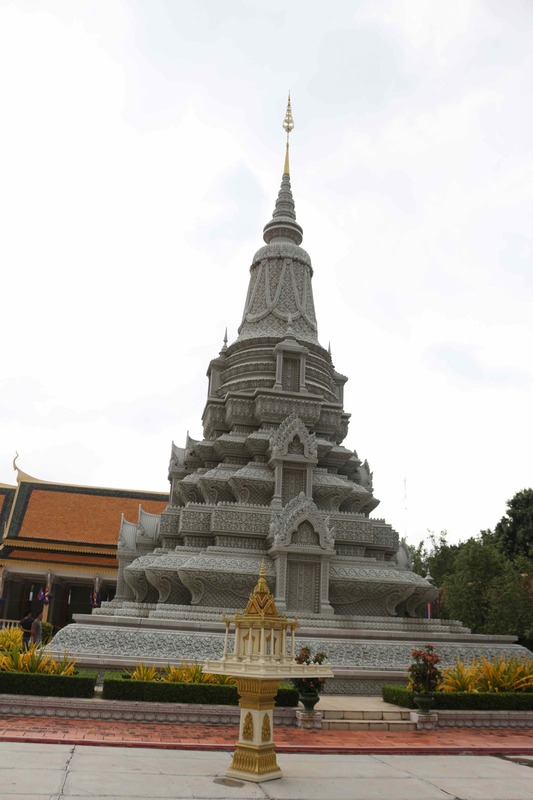 Some of the notable building are Silver Pagoda, Throne Hall, and Moonlight Pavilion. 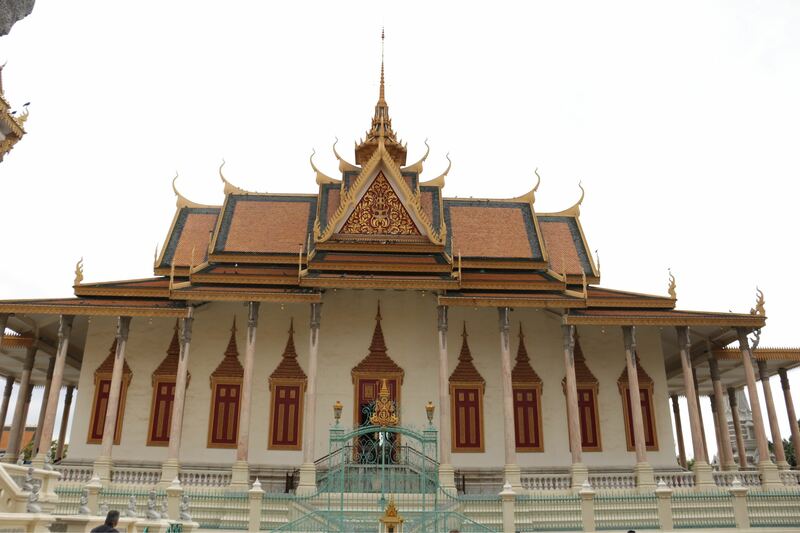 We found this place very similar to the Royal Palace in Bangkok but much smaller in size. It's worth noting that this place is closed in the afternoon from 11.00 am to 2.00pm so please check the timings before visiting. By the time we were done visiting the palace it was already evening. We spent some time around Independence Monument and later went to our hostel. Next day we took a tuk-tuk from our hostel to see the Choeung Ek Genocidal Center more commonly known as the Killing Fields in Cambodia. 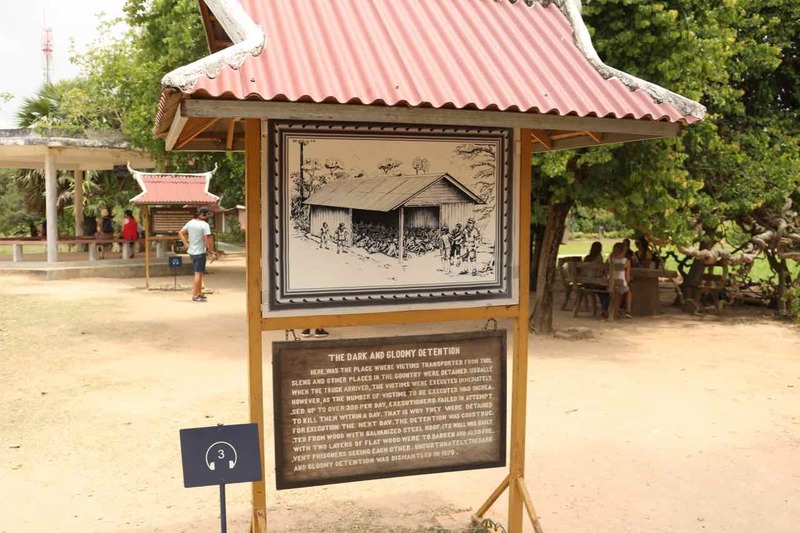 This place is around 18Km from the main city where over a million people were executed during the Khmer Rouge regime between 1975 - 1979. 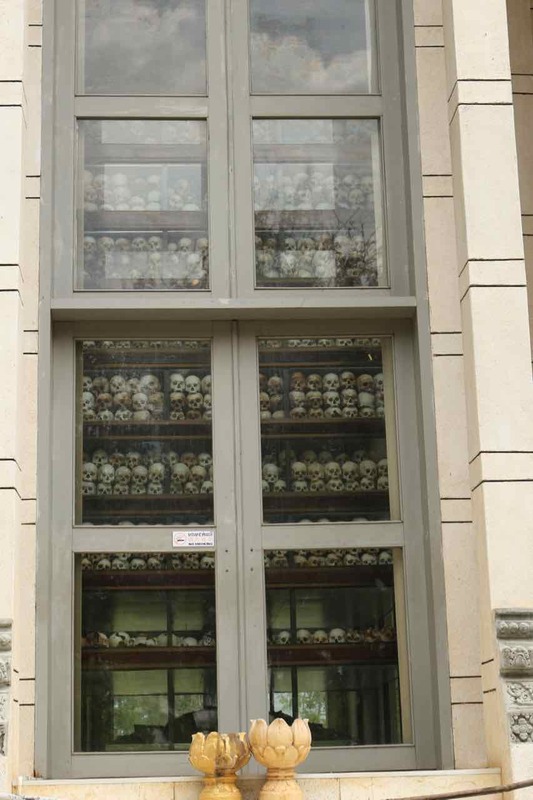 Words cannot describe the atrocities done by communist leader Pol Pot- this Cambodian genocide was as severe as what happened to the Jews in World War II. 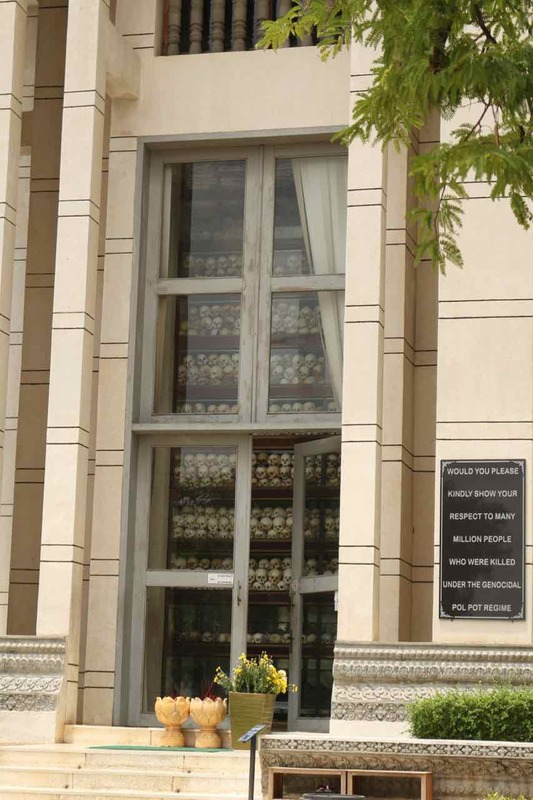 Visiting this place makes you really sad - make sure to take the audio guide tour which explains the incidents in detail. 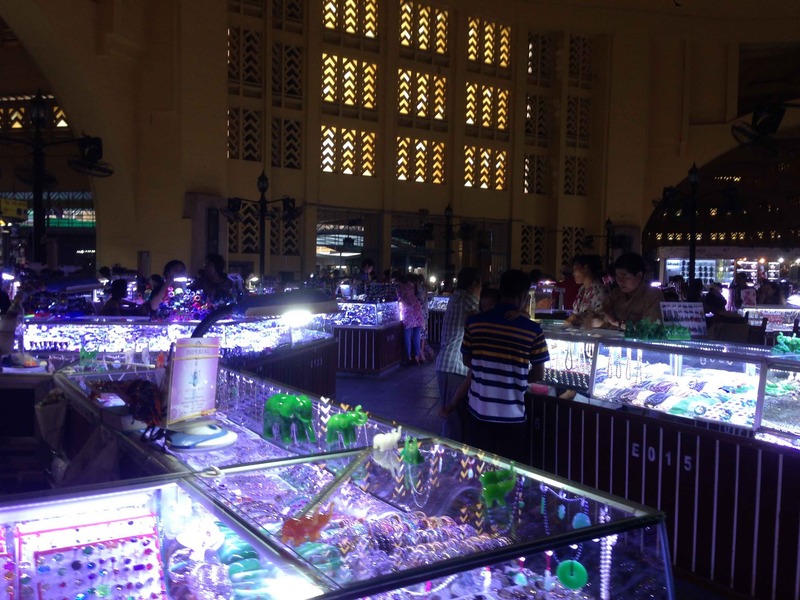 Central Market is a large dome shaped market in the heart of the city. You get everything here from food, clothes, jewelry, and souvenirs. In my opinion, this place is a bit overrated but one must visit just to have an experience. Overall we had a great time in Cambodia. This country gave us a great insight into Khmer empire, history of construction and destruction of Angkor Wat temples. We learned a lot about how Vietnam war affected these people and the atrocities done by Pol Pot during his regime. In our opinion, Cambodia is a very affordable place to travel and a must visit country for anyone who loves history and architecture.